Unless that 40 meter vessel is motor yacht ‘H with Captain Phil Frost at the helm. Once back home, the family called us to say the yacht was beautiful and surprisingly comfortable for a 40 meter yacht, and the crew made everyone feel as if they were onboard a 70 meter vessel. 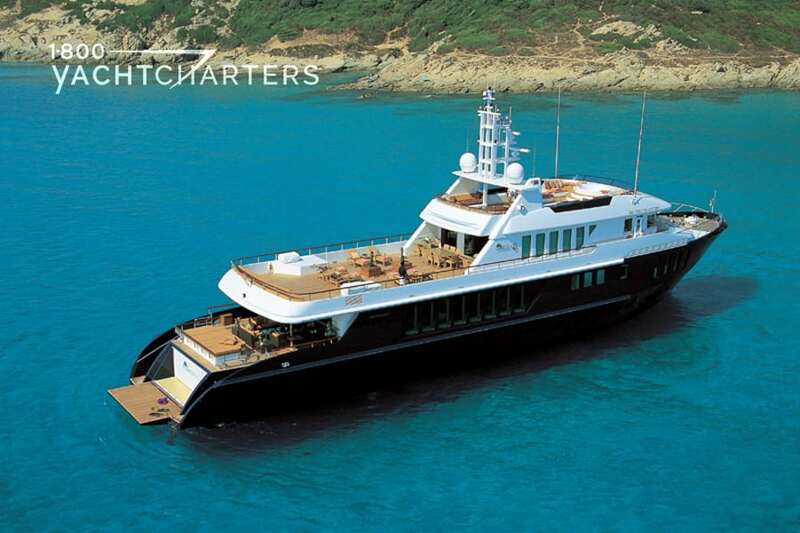 Are you considering chartering a yacht for a vacation or special event? Call or text us at 305-720-7245, and with our Best Price Guarantee in hand, you’ll be on your way to making memories in style! Let us know that you are interested in chartering, and we’re on it! Obviously the film’s director, Steven Spielberg, took that sentiment to heart. 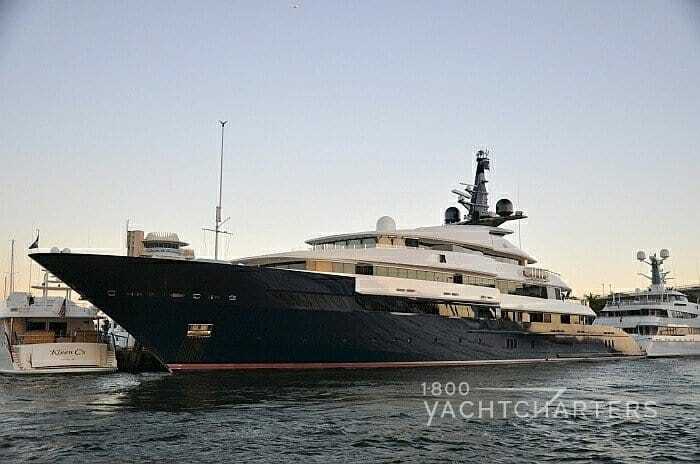 His 282 foot superyacht is up for sale. It will be replaced with an even larger vessel. Oceanco 2010 Spielberg yacht SEVEN SEAS lived up to its name. The famous director, his wife Kate Capshaw, and their seven children made it happen. They took the yacht on a 30,000-mile round-the-world cruise. The yacht is sometimes available for hire. 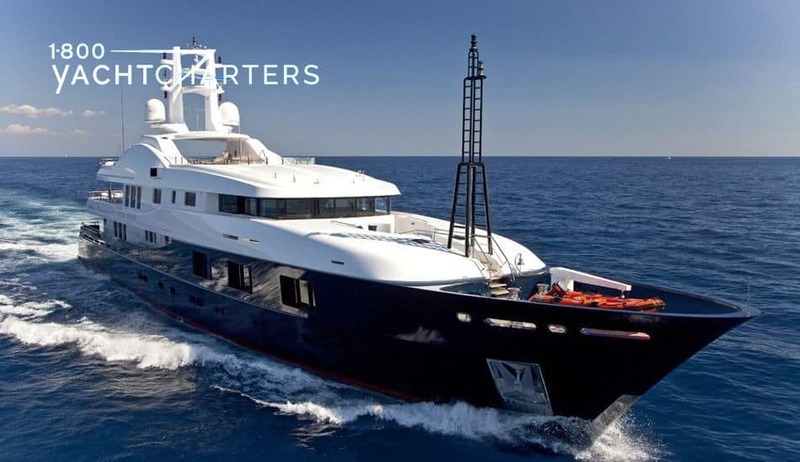 This season’s charter rate in the Mediterranean is $1.2 million per week. 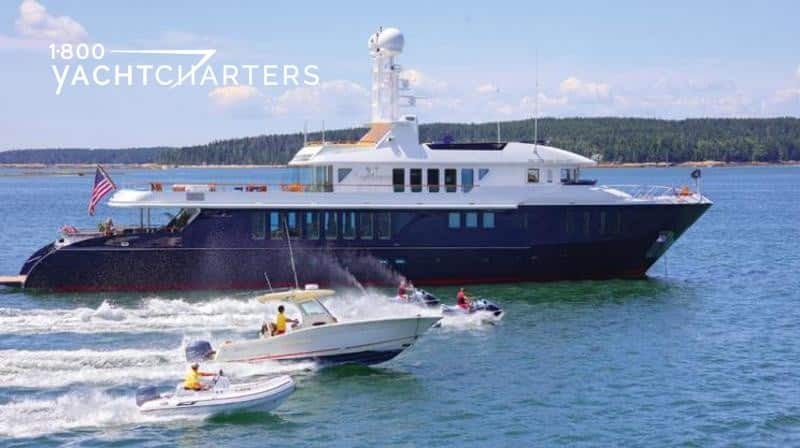 “She has always been a favorite charter yacht,” says Jana Sheeder, President and yacht charter Maven of 1-800 Yacht Charters. If you’re considering renting the yacht this summer, you might have to wait until September, as the legendary director and his family have spent a considerable portion of their summer vacation onboard, and were recently spotted taking in the sites of Portofino, Italy. Even the family dog is along for the ride. 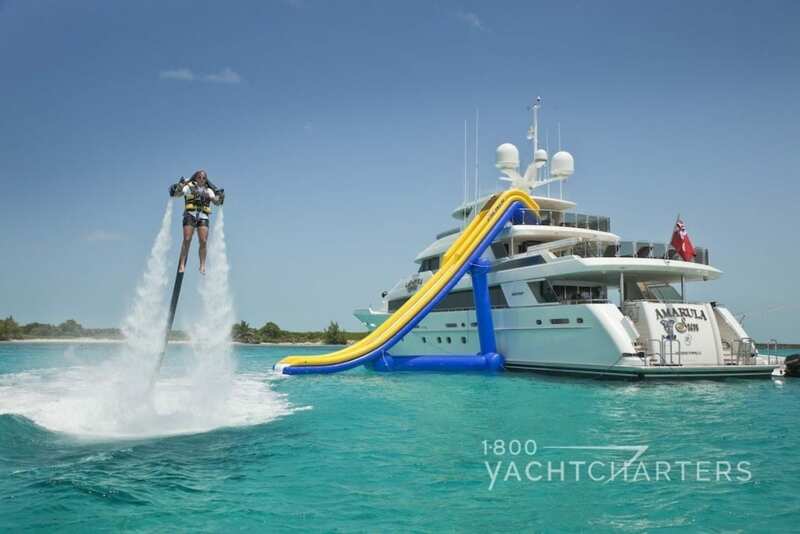 She’s not scheduled to splash down until 2018, but that’s not keeping eager Greek yacht charter clients from placing deposits for vacations next summer on this new 40 meter yacht. The Sunseeker 131 motor yacht AQUA LIBRA 131 is still in her build shed in Dorset, but the buzz surrounding the opportunity to secure a brand new yacht to explore the Greek islands has prospective customers stepping forward to secure prime dates. While it is true that affluent travelers are not inclined to secure private luxury yacht charter vacations so far in advance, they will pony up early when they see a unique opportunity. Motor yacht AQUA LIBRA 131 presents such a scenario. For years, Greece has remained one of the most popular summer cruising destinations – dozens of islands can be visited, and the number of historical points of interest dated to the beginning of civilization are in the hundreds. Oh yeah – the warm weather in the summer is spectacular! But for all the destination’s allure, the yachts that offered charters in Greece were often considered inferior in overall comfort and quality to those yachts HNWI’s could charter in France and Monaco, along the Côte d’Azur. Greek yacht operators, in a testament to their seafaring heritage, often offered wooden ships, called motorsailers (or “gulets” as they are known in neighboring Turkey) to the charter market. As charming as these traditional vessels are, they simply lack the sophistication of ultra-modern superyachts. Whereas you are hard-pressed to find a motorsailer with an open-air Jacuzzi-style tub on the deck, it is nearly impossible to find a superyacht that doesn’t have at least one hot tub on deck – as well as other luxury amenities like onboard cinemas, spas, beauty salons, and helipads. Yacht owners in Greece, and indeed the Greek people themselves, are a wonderful and proud lot – and they should be! They live in the cradle of civilization, and so much of our modern technical gains in math and the sciences can be traced back to the Hellenic culture. 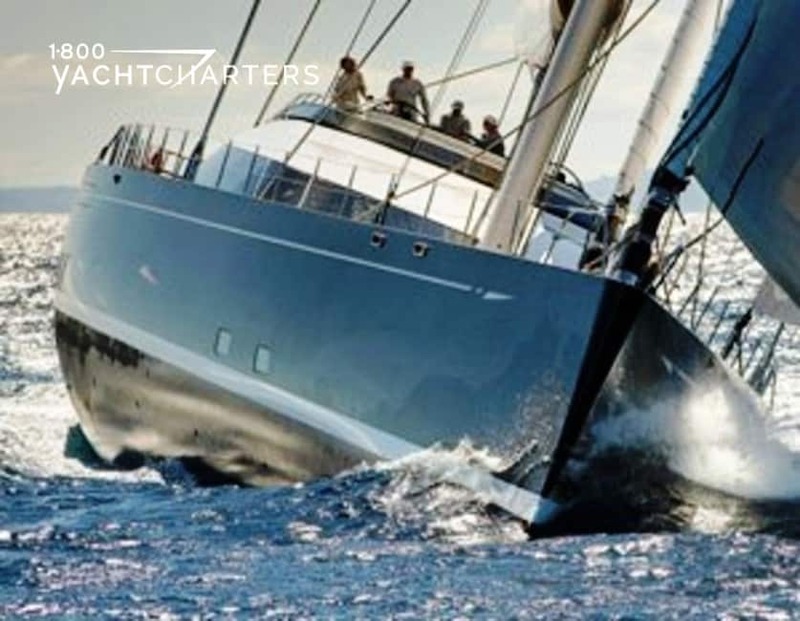 It is understandable to see why they have held to their traditional ways – and their traditional yachts. Still, HNWI’s want what they want – and for the well-heeled, a superyacht filled with modern amenities is the preferred mode of transport during an ultraluxury holiday. That leads us to Sunseeker motoryacht AQUA LIBRA 131, now accepting charter reservations a full year before her build is completed. The British-built tri-deck Sunseeker 131 epitomizes everything that HNWI’s seek in their superyacht experience: accommodations in sublime surroundings, immense scale, and a layout that lends to relaxing and socializing with friends and special guests. Two twin cabins – convertible to double cabins with king size bed. One cabin also features a Pullman berth. As you would expect, all staterooms offer ensuite facilities. For indoor entertainment , the yacht offers a Sonos AV System, with video on demand, as well as Apple TVs, and full satellite services. Of course, the yacht offers Wi-Fi on all decks. There are many other Sunseeker models currently in charter in the Mediterranean. While builders with classical style yachts such as Lurssen and Benetti tend to attract older charterers, Sunseeker yacht charters appeal to young entrepreneurs and their families. There’s a modern, contemporary “Vibe” onboard a Sunseeker. No shot at Lurssen and the classic models – Sunseeker simply offers a different feel, and for a different charter client. As the new AQUA LIBRA 131 Sunseeker continues to attract attention – and bookings, it is likely that more and more owners of new-build yachts will forgo the traditional Western Med ports of France and Monaco, and position for the summer in the Eastern Med in Greece – Opa!!! 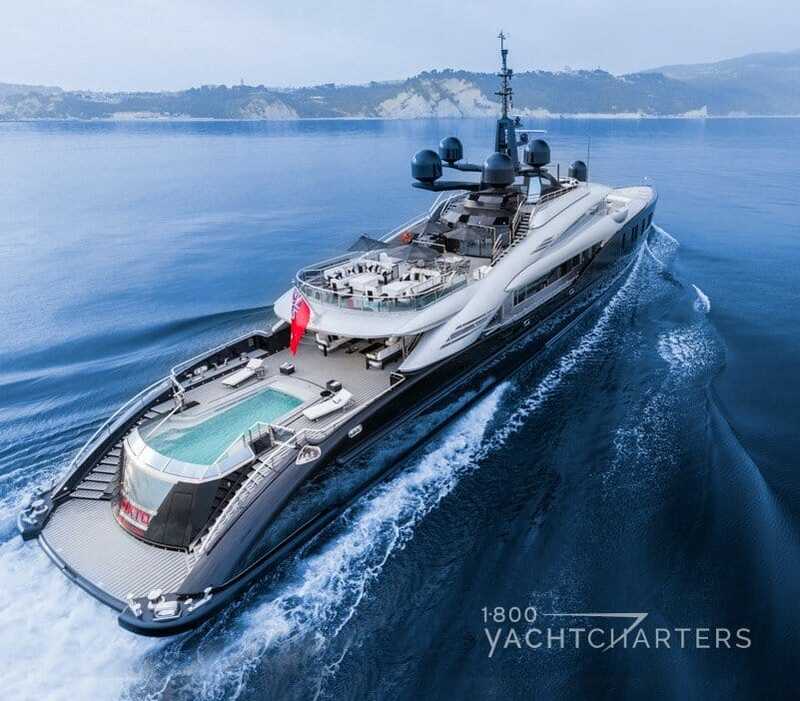 Even the little Kallikantzari hobgoblins will crawl out from the underground when this beautiful, new yacht is delivered to Greece next summer — like a Christmas gift during the summertime! The beautiful 54 meter motor yacht SEQUEL P has announced reduced winter rates in the Caribbean. To encourage last-minute holiday bookings, Proteksan yacht SEQUEL P has dropped her Christmas and New Year’s Eve premium rates from $378,000 per week to $350,000 per week – a savings of 8%. For non-holiday periods, charterers can enjoy a Virgin Islands yacht charter for $322,000 per week and pocket savings of $28,000 off the regular rate of $350,000 per week. Launched in Turkey in June, 2009, mega yacht SEQUEL P was designed by London-based H2 designers, and built by Proteksan Turquoise Yachts Inc specifically for use in the luxury yacht charter industry. 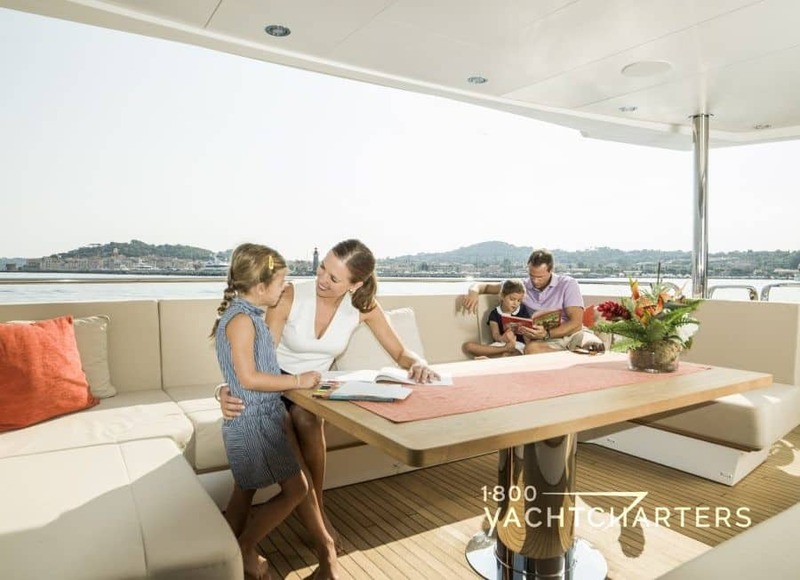 The newest yacht to hit the Caribbean (and the mediterranean in summer), the vessel offers a fascinating interior with areas furnished in sycamore and macore woods, and a generous exterior deck space. Up to 12 guests are accommodated in 6 staterooms: a master suite on the main deck, and 2 double, 2 twin (each with Pullman) and 1 convertible VIP cabin on the lower deck. The VIP cabin can also be converted into a massage studio or office. Special features include zero speed stabilizers, which reduce motion when the yacht is at anchor, amazing deck spaces, and well-planned entertainment areas. For active guests, there is a full gymnasium, and a large inventory of aqua toys. To ease sore muscles after a day of activity there is a large ondeck Jacuzzi tub, as well as the services on a licensed masseuse. 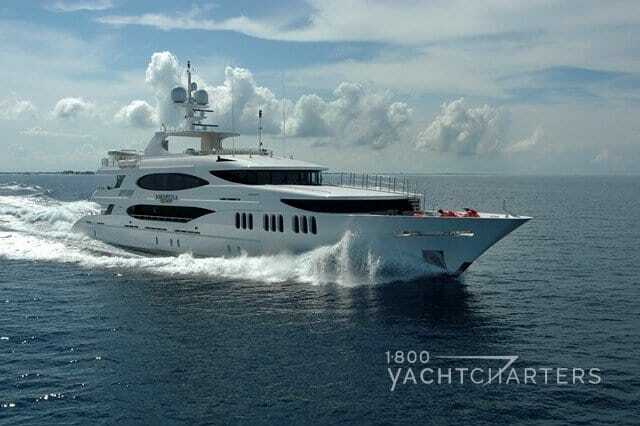 Similar yachts available this winter in the Caribbean include the 2011 53-meter motor yacht SPIRIT, the 2009 50-meter motor yacht WHEELS, and the 2010 55-meter HARBOUR ISLAND. 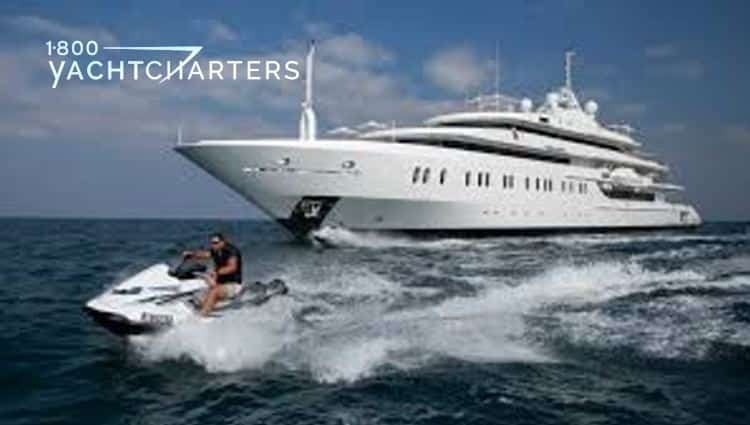 Most yachts available for Mediterranean yacht charters cannot legally carry more than 12 guests. Motor yacht MOONLIGHT II is the exception, with room for 36 passengers. 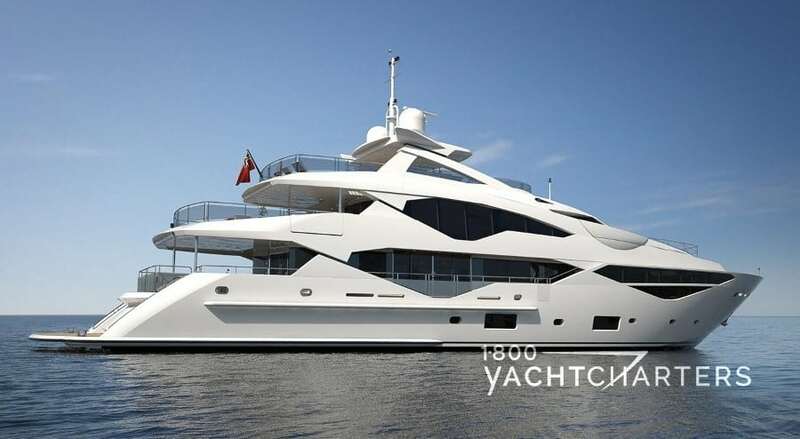 For a limited time, this 280-foot superyacht is available at a deeply discounted rate. Formerly named motor yacht ALYSIA, the 85.3 meter yacht MOONLIGHT II is available in June for Euro 400,000 per week (regular rate is Euro 550,000 per week) – netting a savings of 27%.